The Corona surface treatment is essential in converting processes. A quality Corona is necessary to ensure that perfect laminating and printing result we all want to see when looking at products at the end of the production line. Therefore our Corona systems are not only designed for our converting customers, but also for our customers customers, as our Corona systems help you obtain a flawless and long lasting quality print and lamination. Often our converting customers discover that batches of incoming material have low dyne level (surface adhesion) or that the dyne level of the material on stock has decreased due to heat or humidity. Due to the low dyne level the printing press or laminator cannot run at full speed. In converting processes our Corona systems are used for boosting already treated materials to create high adhesion ability and a fresh clean surface that is receptive to ink, glue and lacquering. Optionally, difficult to treat materials can be applied a Plasma treatment in which special gasses are used in the process. Consequently the Vetaphone Corona and Plasma treatment will lead to better print and lamination quality at higher speeds due to our functional and reliable equipment supplied worldwide. Corona treatment is currently the most used technique in the industry for treating surfaces of polymer films and other substrates. Corona is a Dielectric Barrier Discharge (DBD) in air, the electric discharge is controlled by a dielectric barrier and is in the form of streamers distributed over the surface. The objective of the polymer treatment is to increase the surface energy and subsequently the wettability and adhesion for laminating, printing and other converting processes. However there is a more advanced technology available; Enhanced Atmospheric Surface Improvement (EASI-Plasma) in a DBD Plasma. Created by a controlled atmosphere, adding small quantities of dopant gas for grafting and dopant monomers for nano coating, it allows different functionalisation and a whole range of surface abilities. EASI-Plasma is more homogeneous and “softer” than Corona, with low heat impact to the surface enabling the realisation of versatile controlled and tuneable surface chemistry. Consequently, it can be considered as a gas primer that efficiently replaces both the use of corona treatment and liquid primer. Adding a Corona treater on blown film or cast film extrusion lines is essential in order to obtain a perfect surface tension prior to the following converting process. Without pretreatment the extruded substrates will not allow further converting processes due to low surface tension. As a film manufacture you require reliable Corona treatment equipments that can easily be maintained, be segment set-up and run production nonstop. These are key-points for a Corona treater on an extrusion line. The Vetaphone Corona treaters are designed for our customers with the customers challenges in mind. We focus on equipments that will make your production run smoothly with uniform dyne level and no unplanned stops. The Vetaphone Corona treaters for extrusion line will provide higher dyne level on your materials due to the combination of ultra-efficient generators and superior treatment station design. The advanced electrode design eliminates fluctuations in dyne levels across the web width and furthermore guarantees no undesirable backside treatment. VETAPHONE is a global supplier of Corona and Plasma surface treatment systems. As inventors of the Corona technology our more than 60 years in the business have given us a vast knowledge and experience in surface treatment and an extensive portfolio of solutions for any type of application in the web processing industry. VETAPHONEs product range allows us to Corona treat, Plasma treat, nano coat and graft surfaces from 100mm to over 9 meters at various production speeds in both single- and double sided. Our user-friendly systems guarantee high quality problem free uniform treatment. For further details please see www.vetaphone.com. 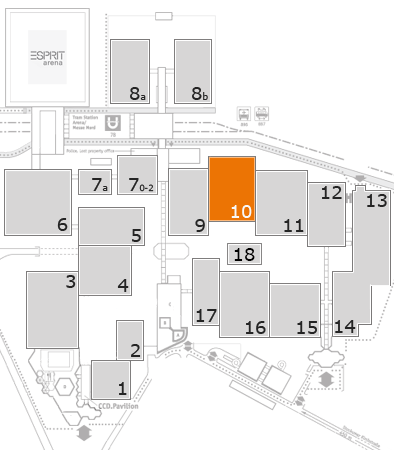 We look forward to seeing you at stand 10E20.